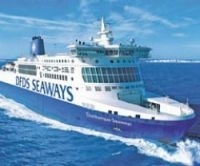 FERRY firm DFDS CHRIS NEWEY, Passenger Director, English Channel, replies to your questions. CAN I ask about the way you load cars? We try to arrive in good time and be first in the queue and, theoretically, first on the ferry and first off. However, some people who arrive long after us end up getting off first. Can you not ensure fairness is respected? G.B. Priority boarding and disembarkation is available and can be pre-booked. We also attempt to get travellers with disabilities boarded early to ensure they are close to lifts. Otherwise, we attempt to load and unload in the order that customers arrive. Our priority, however, is to enable everyone to embark and disembark safely, efficiently and as quickly as possible. This sometimes means that those first on are not always first off. This feedback will be passed on to our operational teams with the request that they ensure this principle is observed wherever possible. My husband and I often travel Dover to Dunkirk and were pleased to hear of the new Calais route – however, there are not many departures. Are more due? J.G. I am not sure when you travelled with us to Calais but we recently launched a second ship so that we now have 10 departures in each direction daily. This makes up to 20 departures a day to and from Calais, and 24 in and out of Dunkirk, making a total of up to 44 crossings daily. We are constantly reviewing our schedule and service but, for the time being, this is what we plan for both routes combined. Our journey from Dover to Calais was not a good experience. We got a text saying our departure had been put back two hours but when we arrived the ferry loaded from a different waiting area and left an angry crowd on the quay. There was no one from DFDS or Dover Harbour and when I phoned a DFDS representative I was told the ferry was just turning around and would be back. An hour later we caught a ferry with [Calais route partner] LD Lines. Will you improve communication? M.T. We need to look into this series of events in detail as they certainly fall short of our high standards of customer service. Please provide your contact information and we will respond in detail once we have determined what happened. Can you say if you have any plans for new services for France? K.J. We currently have no announcements to make with regard to adding additional routes from the UK to France. We use the Ijmuiden-Newcastle crossing regularly but can we have some slightly less expensive wines in the A la Carte restaurant? I.S. Thank you for your invaluable feedback. We have passed your request to the management team responsible for the restaurant of the Ijmuiden-Newcastle route, so they can take this into consideration. Our recent Dover-Dunkirk trip was spoiled by problems on disembarkation. It took an absurd length of time and then we faced congestion on the totally inadequate road network. It took more than 90 minutes to get clear of traffic. K.S. We are sorry that this was your experience as this is not the norm. The turnaround time for the ferries is usually 45 minutes. Therefore disembarkation should be relatively swift. The road infrastructure around Dunkirk has recently undergone an upgrade, which affected some of the traffic leaving the port. This has now been completed, dramatically improving the links to major arterial roads, such as the A16. What do you do if someone arrives early? Speedferries let you get the next available boat – if space – but P&O wanted £60 extra. G.B. We recognise this issue for our customers and, as a result, our current policy is that we allow customers to depart on either the crossing immediately before or immediately after their booked sailing, without an additional charge, but subject to availability. Why do you have heavy discounts for a “five-day return crossing”? This is very restrictive as holidays are often over 14 days and the full fare is required. Surely the cost of a crossing is the same for a fiveday return or 15-day return? R.B. Our fares are generally highly competitive across the board. Day trip and mini-break fares, can offer exceptional value for money for those willing to accept the restrictive conditions. You are competitive but never leave or arrive on time. Why is it so hard to stick to the timetable? G.B. Punctuality and service efficiency is of paramount importance to us. We are sorry if this has not been your experience. As with any busy transport hub, we do experience delays at times, often due to circumstances beyond our control, but work hard to try to minimise these times and the impact on our customers. As with an airport, the Port of Dover is extremely busy and delays with one ferry operator can have a knock-on effect for all. Please be assured we are working with all the partners concerned to offer a punctual service and recognise the importance of this issue for our customers. When we arrived for our early morning Calais crossing we found it had been delayed until 9.00 but no one had told us. Then we had adelay for fuel and a docking bridge problem at Dover took 90 minutes. No member of the crew came to explain to the angry people in their cars. What do you think? J.L. This is unacceptable and we are very sorry this was your experience with us. Communication is of paramount importance to us and our customers and we have a clear policy on communicating with passengers should delays or changes to schedules occur. If you could provide your contact details, we will look into this specific incident and will respond in detail once we have determined what happened.